Stuart Hamblen was the son of a Methodist Preacher and began his career as a gospel singer. 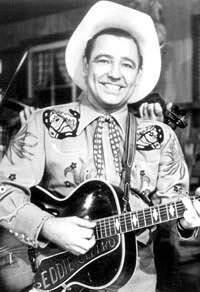 In 1926, he began his career as a radio performer and was a member of the orginal Beverly Hillbillies. After seeing Billy Graham in 1949, Stuart Hamblen devoted his life to Christ and changed the tone of his career. 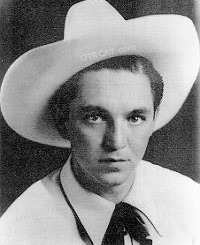 He began his radio show "The Cowboy Church in the Air" and it was syndicated across the country. Unfortunately, "The Cowboy Church in the Air" was canceled when Stuart Hamblen, true to his beliefs, refused to allow alcohol companies to be sponsors of his show. In 1952, he ran for President of the United States under the Prohibition Party and came in 4th place to Dwight Eisenhower. This is a rare show and very uplifting musical program. See also Western Music Collection. Your dedication to the preservation, sharing, and collection of old time radio is to be commended. What you offer to anyone who remembers this golden age, and who take pleasure in reliving these years of entertainment and information, will certainly thank you as well. We need people like you. Good on you.